Sliding non-threshold balcony door HS Portal 250 is ideal for people who value the proximity of the surrounding nature and want to have as much light as possible in their houses. With the unique fitting system by SIEGENIA, we are able to produce sliding balcony doors with a width of up to 18 meters and a maximum height of 2.7 m. Despite such large dimensions, the HS balcony leaf opens and closes very easily. The specially designed “warm” aluminium profile which is the threshold of the HS balcony makes it possible to embed the bottom of the balcony door on a par with the floor level in a living room. Using the HS balcony, the height difference between the outer and inner side of the building is only 19 mm. Lift and slide patio door is best for locations as balconies, terraces and other places where there is not enough room for traditional outward or inward opening solutions, or where is a need for large glazed areas. Sliding patio doors are equipped with high quality and modern GU-934-H hinges system which has load bearing capability 300 kg. Active leaf is located on inner side of door ensuring functionality for winter times – ice and snow does not damage rails. The espagnolette and strong handle enable convenient operating and possibility to close door in ventilation position. Sliding patio door is available both as wooden and aluminium clad door. 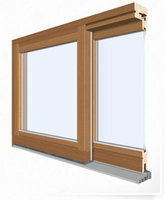 Traditional double glazing (Ug = 1,1 W/m2K) or energy efficient triple glazing (Ug = 0,6 W/m2K) can be used. 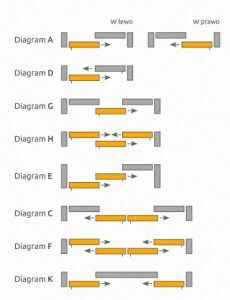 Finishing according RAL, NCS (paint) or (lacquer) tone catalog by customer’s choice preference.